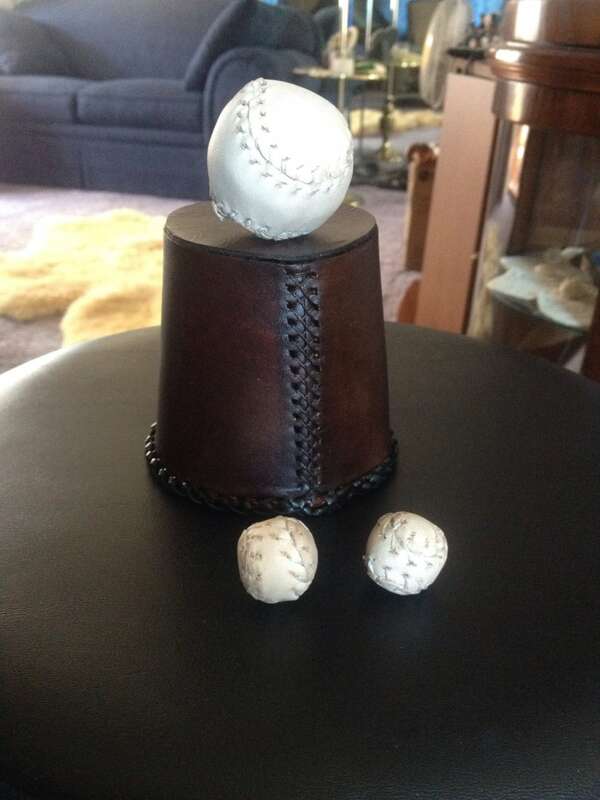 Custom leather chop cup set with 1 standard ball, 1 chopped ball, and 1 final load. Customize with your choice of colors, choose either laced edge (unlined) or stitched edge (felt lined, you choose color), even add tooling- just leave us the details in the notes and we'll take care of the rest! Cup measures 3.5 inches x 3.5 inches, balls measure .75 inches or 1 inch (you choose, final load measures 2 inches. Cup is large enough to even use a full size baseball as a final load if you wish!